If you have never been arrested before – it can be a scary thing. Here is the typical post bail process that usually happens so you can be aware of your rights and other legal options. After arrest, the accused is usually taken to a detention facility for booking. This involves recording personal information, taking photos and fingerprints, documenting information about the alleged crime, searching the records for any previous offenses or outstanding warrants, and placing the accused in a holding cell. After arrest and booking, the bail is set. Bail is required to be set within twelve hours of the issuance of the complaint. A judge or magistrate normally sets the bail amount. Because people usually want to get out of jail immediately (instead of waiting to see a judge), most jails have standard bail schedules that specify bail amounts for common crimes. 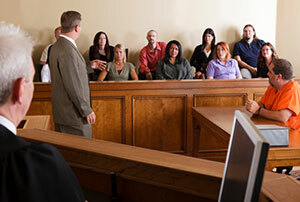 The bail system is designed to guarantee the appearance of the defendant in court. If bail is posted (and there are no other charges pending) the defendant is released until the charges are resolved. The defendant remains free on bail as long as he or she meets the conditions of the bail. 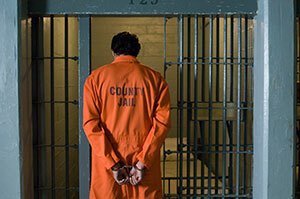 Some defendants may be required to post a higher bail, or may be denied bail. In setting or denying bail, the judge or magistrate’s first concern is the protection of the community, taking into account the seriousness of the offense and previous criminal record of the accused. Release on Own Recognizance-R.O.R (or P.R. – Personal Recognizance) is a pre-trial release without any financial security to ensure the appearance of the defendant at court. Release on O.R. is usually given when the defendant is charged with a minor offense, has strong ties to the community (such as full-time employment, property ownership, long-time residence and family in the area) and is deemed a low flight risk. Surety Bond (Common Bail Bond) When a professional bail bond agency guarantees a defendant’s appearance in court, it’s called a surety bond. 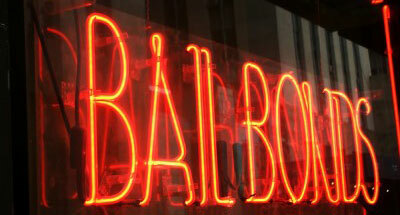 The bond agency is fully liable for the bail if the defendant does not appear. In turn, the bond agency charges a premium for this service (usually 10% of the bond amount). Additionally, the bail bond agent often requires collateral from a guarantor (the family member or friend who is seeking the release of the accused). Because this person usually knows the defendant well, he or she is willing to take partial responsibility for guaranteeing that the defendant will appear in court. There are several things you and the defendant need to be aware of regarding the court appearances and the consequences of failing to appear at the appointed time. Tardiness If the defendant is late for court, technically the bond can be forfeited. The court may interpret the defendant’s failure to appear as a willful act and issue a bench warrant. If you know that the accused will be late for their court appearance, please contact the bail company and the court clerk immediately. The defendant should check in with the bailiff when they arrive in court. It’s better to make a late appearance than not to appear at all. Failure to Appear If the defendant fails to appear in court at the appointed time, a bench warrant will be issued for that person’s arrest, he or she will be reported as a fugitive to the police, and the bail bond will be forfeited. At this time, the bail agency will try to locate the person by calling his home, employer, and other references and attempt to convince him or her to turn himself in to the local authorities and reschedule a court date. Flight In rare cases, the defendant may try to flee. The bail bond agency has the right to turn the defendant over to a law enforcement agency at any time, if the defendant is considered likely to flee. The bond agency also has the legal right to hire apprehension agents to pursue and seize the defendant, even if they have fled to another state. Additionally, bail agents have the right to use forcible entry without a warrant or court order when pursuing a fugitive. As a person who has guaranteed the appearance by posting collateral, you would want to convince the fugitive to surrender himself/herself to the authorities as soon as possible. If you’ve bailed someone out of jail and suspect that they are going to flee, please call us immediately so your financial responsibilities may be lessened or removed.